Strathearn Eventing aims to provide an ‘all-round’ equestrian service for the horse and owner whatever their level and ambition. The facilities are aimed at being able to meet the targets set by the rider, whilst providing a high standard of care for the horses. Coaching at all levels is to be fun whilst seeking improvement and achieving desired goals,safely, for individuals, groups or clubs. The cross country facility is dedicated to offering training jumps for all and is open to the public. There are regular competitions and clinics in a variety of disciplines. 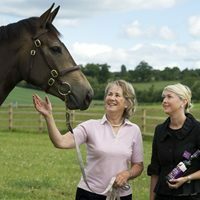 A bespoke service of horse keep and schooling is available within the family run yard and there is over eighty years of knowledge and experience in caring for horses based on site. We also have a number of horses for sale. Please do not hesitate to contact us via enquiries@strathearneventing.co.uk or 01738 840263/ 07802 559127 if you require further information. 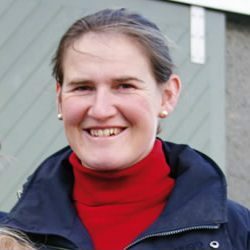 Sarah runs the family business at Strathearn Eventing living on site and is married to Alastair, a charted surveyor in Edinburgh. Our two sons James 13, and Rory 9, love the outdoors and enjoy their time around the yard and life at Strathearn Eventing, they both ride. James in 2017 won the Burghley Gold Cup Sports Pony Final at the Burghley Horse Trials and was placed on “Pebbly Principal Boy” at the Horse of The Year Show. Sarah has ridden since the age of two starting out with national success in working hunter pony – Champion Working Hunter Pony Royal International and numerous times Royal Highland and other county shows and representing Scotland in the BSPS Championships. Eventing started on Master Tilton winning the Pony Club Championships and representing the British Pony Three Day Event Team on three occasions winning team gold and bronze medals in Italy, Holland and Germany. Goosey Lucy represented Britain in Juniors winning in Ireland and competed Blair Castle International Horse Trails, whilst Dallamore, homebred advanced mare was a member of the Rural Riders winning team Gold after a successful career in the working hunter ring – Champion Royal Show and four times Blair Champion . At the age of eighteen Sarah was third in the Bells Scottish Personality of The Year awards. A former pupil of Kilgraston, Sarah won the Schools Event Championships which subsequently kindled the beginning of the very popular Kilgraston Schools Competition. Sarah is well known for the production of young horses winning the Scottish Novice Championships several times with her prolific winner White Chief, one of the only horses to win a Young Event Horse Championship two years earlier at Thirlestane. Dallamore was third and highest placed mare at Burghley Young Event Horse Championships. Sarah is currently producing for sale several homebred horses by Accondy, Fleetwater Opposition and Eighty Eight Keys. Sarah obtained a BSc Hons in International Agriculture and Equine Business Management at The Royal Agricultural College, Cirencester. Coaching is an important part of Strathearn Eventing and with Sarahs’ enthusiastic and fun approach as well as extensive qualifications and experience she can help individuals, groups and clubs. Hazel has over 40 years experience in producing horses and ponies for competition, a thorough knowledge of breeding lines and an exceptional eye for horse correctness and conformation. In addition, Hazel has a practical understanding of good equine husbandry and rehabilitaing horses. Hazel’s experience is recognised in the industry as she is frequently asked to Judge including at the Royal Highland show in 2010.